SKU: AF2-VID1. Categories: AF-Resources, Videos. 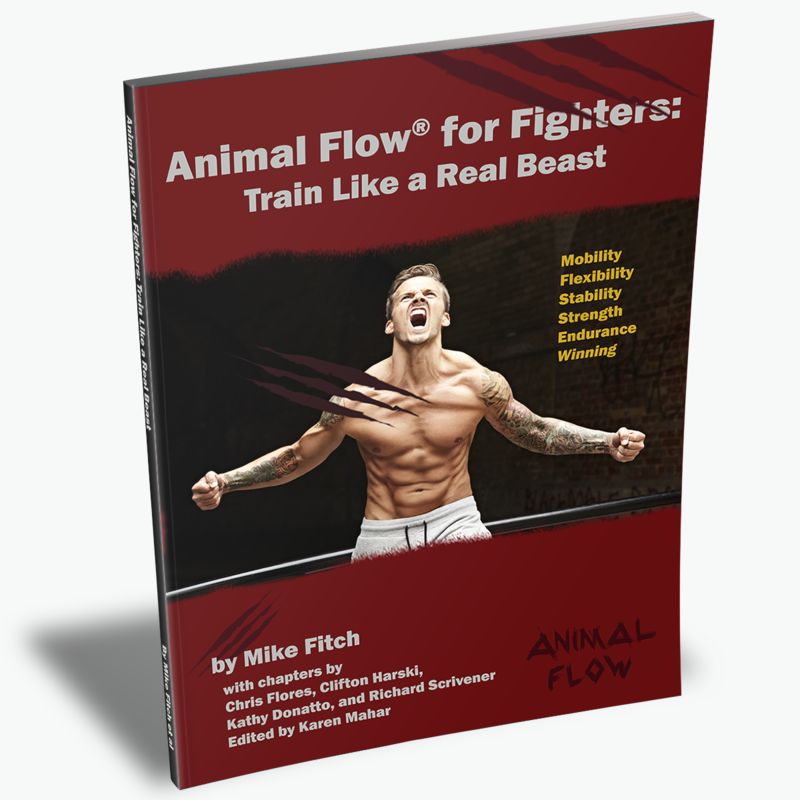 Animal Flow 2.0 is the updated release of the instructional video for the incredibly popular fitness program. 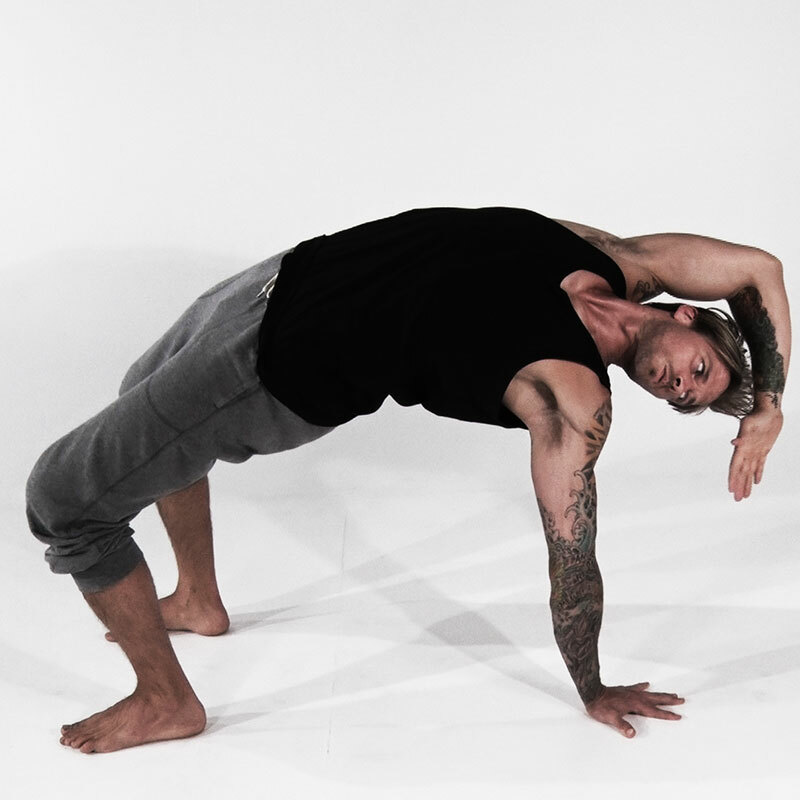 The Animal Flow video teaches you all of the introductory moves and then shows you how to put them together into Flows. This new edition includes improved instructions on 26 exercises and 20 sample Flows! Videos are provided as downloadable files and can be streamed on-line. The Flows are also provided as audio files with program creator Mike Fitch calling out the flow instructions, so you can listen with your headphones and practice your Flow in the park, at the gym, or even in your own living room! The program covers all six components of Animal Flow, including Wrist Mobilizations, Activations, Form Specific Stretches, Traveling Forms, Switches and Transitions, and, of course, Flows. No equipment needed – your body and gravity will do all the work. Want to check it out first? Jump over to our preview page where you can watch three sample exercises from the video in their entirety! Learn the popular Animal Flow bodyweight training program with this comprehensive instructional video program. Program creator Mike Fitch teaches you all of the introductory moves covering 26 exercises, and then shows you how to put them all together with 20 samples Flows. In this Animal Flow 2.0 edition we’ve updated and expanded the instructions and added tons of new Flows, giving you everything you need to get started with your Flow practice! Wrist Mobilizations include a range of simple exercises designed to increase the flexibility and strength of your wrists. Activations are static holds we perform to connect the body before we start our practice. You'll learn: Static Beast Hold, Static Crab Hold, and Limb Lifts. Form Specific Stretches are full body stretches that start in an animal form and then move through a wide range of motion, increasing your mobility and flexibility throughout the entire body. You'll learn: Ape Reach, Beast Reach, Crab Reach and Scorpion Reach. Traveling Forms are full body conditioning exercises that mimic the movements of animals. You’ll learning the “ABCs” of animal movements: Ape, Beast and Crab. Switches and Transitions are dynamic movements that we perform one after the other, creating the “flow” of Animal Flow. You can transfer from one form to another, or repeat the same one as a drill. You'll learn several variations for Underswitches, Side Kickthroughs, Front Kickthroughs, and Scorpions. Flow is where the real magic happens. You’ll combine the Animal Flow moves by linking them together in a fluid sequence, seamlessly transferring energy from one move to the next. We'll show you 20 samples from beginner to intermediate level. And you'll receive the audio downloads so you can follow along, taking your own practice wherever you want! How is Animal Flow 2.0 different from the original Animal Flow video? We’ll be the first to say the 2.0 is more like a new edition than a sequel. Many of the moves included in 2.0 were also on the original video. However, many of the moves have evolved during the 4 years since the original was released, so you’ll notice many technical differences in the execution of the moves. We’ve also improved how we provide the instructions, as we’ve been able to incorporate the experience we’ve gained in teaching thousands of students in workshops over the past two years. And there are also several new moves included here that were not in the original video. One of the biggest differences is that we’ve included a lot more Sample Flows. We’ve listened to all the feedback, and heard that people really wanted lots more help putting together Flows after learning the moves. So 2.0 includes 20 Flows, including beginner level to more intermediate levels flows. We are also making the Flows available to be downloaded as mp4 audio files where Mike Fitch simply calls out the moves, so that you can listen to the instructions on your headphones while practicing the Flow anywhere you want. Pop it into your iTunes library, head to the park, and get your personal Call Out to take you through the Flow. I already bought the original video. Should I get this one, too? We think most people who liked the first video will like this one as well. As mentioned in the previous question, this edition incorporates all of the changes we've implemented in the program as we've learned more over the last 4 years. You'll find the technical details make these movements even more effective. Even if you already know the basics of the moves from the first video, you're sure to get a lot out of the 20 new flows included here. The flows vary greatly, including numerous flows designed by (and performed by) our Master Instructors just for this video. So if you enjoy Animal Flow, but don't always have the time or inclination to design your own flows, you should really enjoy the flow section. Of course, if you bought the first video and didn't like it, then you probably won't like this one, either. What fitness level is this video for? Animal Flow can be tailored to many fitness levels. Some people may start out simply practicing the static forms for a while before they are ready to try the traveling forms, or get into the switches and transitions and flows. You can go at your own pace, and incorporate the workout into your existing fitness routine at your own level. We also note that Animal Flow is a bodyweight training program, and that means you'll be carrying your own bodyweight with the moves. This can make it a little more difficult for people who are heavier or have greater body mass. That doesn't mean you can't do it, but it may take some time to build up to the more difficult moves. How is the video formatted? The program is broken into separate videos for each of the major movement categories, as well as separate videos for each flow. You can download them or watch them on-line. The videos are available for download at Quicktime files (better for playing on a computer and some phones) or mp4s (better for some mobile phones). You can also download the mp4 audio files of the Flow call outs, so you can listen to them and follow along. You'll receive the links to download all the files as zipped files in your confirmation email, and you'll have access to the download links from your customer account for 30 days. You must complete your downloads within 30 days. You will also receive access to the Animal Flow 2.0 Customer Center, where you can watch the videos on-line. How would I use the video? One of the great things about Animal Flow is that it is so versatile in how you use it! You might do an hour-long workout of just Animal Flow. You might incorporate some elements into another workout, as a warm-up, intervals, circuits, conditioning, cool-down, or other activity. The video teaches each move one at a time. You can practice the moves with the video, moving on to the next one only when you feel ready. You might learn a bunch of moves in one day, or you might choose to learn just one or two at a time. We'll include some sample workouts with your purchase, suggesting ways you can structure an Animal Flow workout. An Animal Flow workout can be as long as you want it to be, since there is so much flexibility in how it is used. You can easily structure a 45 or 60-minute workout if you want one session. Or you could break into shorter workouts, focusing on different components on different days. The video itself contains 15 video segments teaching 26 moves total. The total instruction time is 1 hour with an additional 20 Flows that are 1 to 3 minutes each. I only want the DVD. Do I have to buy the downloads as well? Can I teach Animal Flow after watching the video? No, you will not be certified to teach Animal Flow after watching the video. It includes plenty of information for you to be able to start performing the moves yourself, but it does not cover the additional information a fitness professional would need in order to teach others. This is not a follow-along workout where you would do the same thing every day. Instead, the video provides detailed instructions on how to properly perform each of the moves, which you will progress through at your own pace. However, when you get to the Flow section, you can follow along performing each flow as it is demonstrated. Once you've learned it, you can move on to listening to just the audio version as a "call out" while you follow the moves and perform the flow wherever you want! We will ship DVDs anywhere in the world! Just select the International Shipping option when you check out.